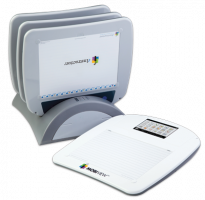 The Interwrite Learning™ Interactive Classroom products provides the most effective, powerful interactive educational system on the market today. Any combination of Interwrite™ Boards, Pads, Panels, all which include Interwrite™ Workspace, provides a dynamic collaborative environment that both engages your students and encourages participation. Interwrite™ Workspace provides the tools to make the interactive classroom a reality. These tutorials will explore the functions, features and tools of Interwrite™ Workspace so you can see how they can be used to prepare, present, save, and distribute lessons that will keep your students engaged, motivated and inspired to learn. Learn why Interwrite™ Workspace is the premier instructional software for use with interactive devices. This tutorial overviews each of the preference settings which allow you to customize Interwrite™ Workspace to your needs. This tutorial shows you how to customize the Workspace toolbar to match your teaching style and usage requirements. This tutorial shows you how to use the pen and highlighter tool to make annotations on a Workspace page. This tutorial shows you how to use the shapes and lines tools to create high quality images for inclusion in lessons and discussions. This tutorial shows you features to work with text to enhance language arts lessons. This tutorial shows you how to change the properties of tools and objects within Interwrite™ Workspace. This tutorial will guide you through setting up different page options. Explore this tutorial to learn where to find and how to use Interwrite™ Sims. Learn how to instantly create enriching lessons using the Interwrite™ Workspace Content Gallery. Learn how to use Interwrite™ Workspace with any 3rd party education resource. This tutorial shows you how to use the Record and Playback feature within Interwrite™ Workspace. This tutorial shows you the various ways you can save and share teaching materials in Interwrite™ Workspace. Learn about the features of the Interwrite™ Pen.